I have spent the past nine months developing the GR8 MATES youth mentoring program, a school-based program for Year 9 students who are possibly beginning to disengage from school or are not really reaching their potential for any number of reasons. 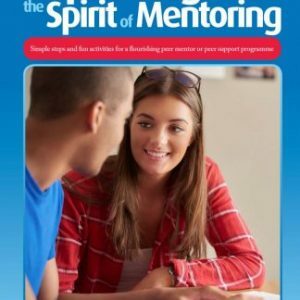 This program aims to encourage these young people (mentees) to explore their options over at least a nine month mentoring relationship with a volunteer adult mentor from within the local community. In Australia students are not allowed to leave school until the end of Year 10. At this point many who leave school tend to seek Apprenticeships, usually a four year process. Others simply head out into the world of work and seek a job of some sort. Some might study a short course through a local Tertiary or Training and Further Education (TAFE) Institute and then seek work. There are so many options available to young people, though it is becoming more and more important for them to complete their final year of schooling (Year 12), such are the needs for skilled, more mature employees. Anyway, I spent time exploring options during the latter months of 2006 and eventually decided to model the program on another Australian program called Plan-It Youth. I spent time discussing the emergence of this program with one of the founders and then returned to the drawing-board to rewrite the program so that it suited the mission of the GR8 MATES program: To support young people in Year 9 and Year 10 to investigate their post school options and to make positive life choices that enable them to reach their personal potential. The vision developed for the GR8 MATES program is simple: Young people will experience supportive one-to-one relationships and community support, which in turn allows them to develop into their full potential capable of making informed, responsible decisions as they transition from school to the workplace. I was immensely fortunate to be awarded a Churchill Fellowship while I was still living in New Zealand and, in July 2006, visited mentoring and other youth programs in Canada and the USA. People I visited were so helpful and shered plenty of their experiences with me. My work up until this time had been involved with developing community based youth mentoring programs, a wonderful way to go, though requiring considerably more paperwork, screening and supervision than a school-based program. As I talked to people, I began to think more seriously than before about the positives of a school-based program, so, when I joined the Schools Industry Partnership (SIP), based in Penrith, Outer Western Sydney, I was privileged to be given the opportunity to launch this new program. There are no effective youth mentoring programs in the region and there are certainly plenty of concerns about the pathways being chosen by many young people, so this seemed a great opportunity. As SIP is a government federally funded program, we are able to launch a pilot and, if successful explore further options. As a result of my travels and the conversations I have had over the years with others involved in youth mentoring, I have been fortunate to have rubbed shoulders with some of the most respected programs in the USA. The National Mentoring Center and MENTOR have allowed me to adapt materials and this I have done developing the Policies and Procedures Manual for GR8 MATES. It is important that the program stands up to international scrutiny, so I have followed all the Quality Assurance steps, listed in more detail on my website (http://www.yess.co.nz/ ). 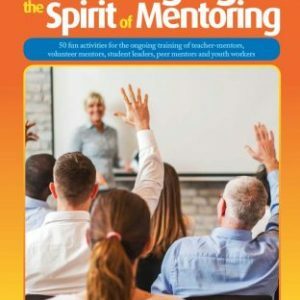 I was able to adapt other material I had already used in developing other youth mentoring programs and this made it considerably easier to pull something together that was internationally credible in a relatively short space of time (three months). Then began the process of finding both the school to pilot the program and the volunteer mentors. I reasoned that the school would have no problem identifying potential mentees, so that was the least of my problems during the early days. I also have held a belief for quite some time that there are many people within churches who might want to live out their faith ie, giving of their time in service to young people. Fortunately, Kelly from a church in the Blue Mountains area where we would be trialling the program, made contact with me about youth mentoring in general. I shared with her all that GR8 MATES was about and she offered to approach some people in her congregation, which led to some interest. I was aiming to have between 10 and 15 mentors for the pilot. Kelly also gave me the name of a reporter from a local community newspaper whom she felt would be supportive of this program. I contacted him and he offered to put together a story, together with a photograph of the School Principal, the School Coordinator (in this instance also the Careers Advisor) and myself. In addition, one of our Board members involved in a local TAFE offered to circulate an advertisement about the program on the TAFE intranet. All in all I probably received about 30 to 40 expressions of interest, though a number of people dropped out when they heard where the program was being run ie, they couldn’t get to the area (distance) and when it would be held (between 10.50 am and 12.50 pm) every Tuesday during term time. How did we find the school? Well, this was the easiest part. One of my jobs as Career Transition Manager for SIP was to organise a Principals Breakfast early in the year, which was also attended by Careers Advisers and other members of school senior management teams. We used the opportunity to showcase our plans for 2007, which included the possibility of launching a mentoring program. No major details were given, as I was still in the thinking and planning stage at that point, but we received Expressions of Interest from 17 schools. The Principal of one of these schools is the Deputy Chairman of our Board, so, when he offered to pilot the program it was too good an opportunity to turn down. Why do I say this? Simply because he has been involved in SIP from the beginning, understands the philosophy, and also appreciates that a new program is going to have to go through some challenging times as it establishes itself. While these various processes were taking place, the Policies and Procedures Manual was coming together and I was ready to put together an A4 brochure advertising the program. In the long-term it’s cheaper to produce more flyers like this, so we had 5,000 printed which will serve us well for at least three years, I would think. It’s glossy, explains the Mission and the Vision of GR8 MATES, fits it into the whole SIP program and outlines some other information about GR8 MATES. We were beginning to get up a head of steam by June, so it was time to have an orientation meeting at the school of those interested. Having Keith, School Principal, present was an important moment for the program. If the Principal is not openly backing the program in such instances, it’s that much harder to succeed. Fortunately, Keith has been totally involved from day one and we are in regular contact. He is copied into all the emails sent out to the mentors, so he knows what’s going on all the time. At the orientation meeting, attended by about 20 potential mentors, I outlined the program and handed out Application Packs. A couple of people told me that they would be unable to participate, as they could not attend the training and one person, so keen to be involved, had to withdraw prior to the training due to family circumstances which necessitated her having to help out with baby-sitting etc. Perhaps in 2008 she said. orms contained information such as: Mentor’s date of birth, contact details, places of work during the past 5 years and names of employers (who would not be contacted); contact details of three people for character references; a Mentor Interest Survey, a Working with Children Check Form (compulsory in Australia), an outline of the Mentor Training Programme and a Consent Form that allows us to take photos during the mentor’s participation in the program (also a requirement as we are government funded). Once the forms started coming in, I set the dates and times for the training.